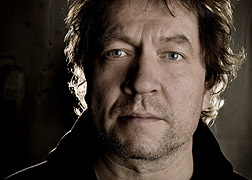 The Jazz genre may well claim Nils Petter Molvaer as one of its own, but this Norwegian trumpeter remains a member in good standing within the Ambient community. His CD Hamada (45'58") is filled with evocative works of sacramental contemplation. 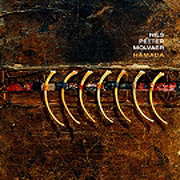 Using the expressive capabilities and sonorities of the trumpet, along with a sensitive set of fellow musicians, Molvaer creates innovative and touching music through a unique system of expression - expanding our sense of the possible. From ceremonial poignancy and idyllic simplicity to somberness and sultry reverie the ensemble of trumpet, guitar, sampler, drums, percussion and bass realize poetic works of Ambient-Jazz. This concept may seem like an argument between the sacred and the profane, but Molvaer maintains a foot in both worlds while remaining exotic in each. Two of the ten tracks run full-tilt into jazz-rock oblivion and are sure to attract the attention of the lulled. But this entire album begs intentional listening. Its brief works, all the more precious for their short lives, are simple in construction but powerful in content. The idea and ability to provoke the audience to reflection lies within the imagination of this performer - who seems mythic in his otherness.